God damned if this isn’t just a perfect gem of a song. One of those SSPU songs that makes it seem like they were created in a lab just to appeal to me. And here, stripped so far down that you start to see bone beneath its normally fuzzy, fleshy exterior. Truly a thing of pure joy. 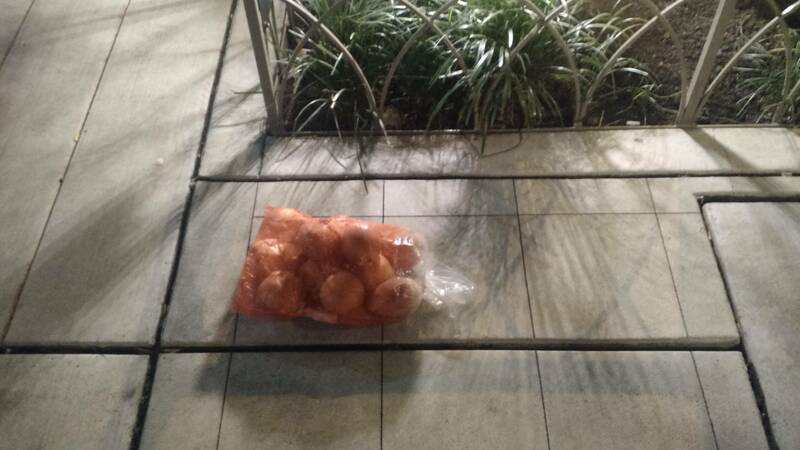 If any of you lost your bag of onions on New Year’s Eve, it was last seen lying on a sidewalk in Belltown, surrounded by bewildered drunk people. Frank Black is a god damned national treasure. Man, no one does over-the-top, magisterial prog metal quite like Iron Maiden. First album in five years, sixteenth studio album, and it features an 18-minute-long epic about a doomed steampunk airship. It’d be a joke if it weren’t so damned well done. Leaving our umbrella behind, we picked up the switch panel and marched to the end of the dead-end bridge that jutted out into the water. The reservoir had been created by damming a river: its banks followed an unnatural curve, the water lapping halfway up the mountainside. The color of the water suggested an eerie depth. Falling drops made fine ripples on the surface. One of the twins took the switch panel from the paper bag and handed it to me. In the rain it looked ever more pathetic than usual. “Now say a prayer,” one of the twins said. “A prayer?” I cried in surprise. “Any old prayer is all right,” one said. “It’s just a formality,” added the other. I stood there, soaked from head to toenails, searching for something appropriate to say. The twins’ eyes traveled back and forth between the switch panel and me. They were obviously worried. I drew my right arm all the way back and hurled the switch panel at a forth-five-degree angle into the air as hard as I could. It described a perfect arc as it flew through the rain, landing with a splash on the water’s surface. The ripples spread slowly until they reached out feet. The three of us huddled together like dripping dogs, looking out over the reservoir. “How deep is it?” one asked. “Really, really deep,” I answered. “Do you think there are fish?” asked the other. Seen from a distance, the three of us must have looked like an elegant memorial. I just finished reading Haruki Murakami’s Wind/Pinball. It’s an English translation of his first two (very short) novels. It’s mostly of interest to existing Murakami fans. Along with its prologue, it serves as a sort of super-hero-like origin story for his writing. If you’re not already a fan, you’re much better off picking up a copy of his short stories or his 1Q84 trilogy. Murakami clearly isn’t Murakami yet here, but you can still find masterfully rendered scenes like the one above. It’s clear that the seeds of his gorgeously weird characters were present from the start, but it’s equally clear that he needed a few decades of practice to render them with the required clarity. Highly recommended for people who already buy into Murakami’s style of weird, sparse, ambiguously plotted adventures of beautiful monsters. For everyone else, probably better to start elsewhere in his work. The Protomen covering Iron Maiden’s “The Trooper” as only they can.